"If I could dress anyone, I'd like to dress the Queen - she can handle anything. I'd put her in black - she never wears black - and add a little leather, maybe. A little rock n' roll." Each fall and winter, leather hits the streets and every fashion magazine proclaims it to be THE trend of the season. It's no surprise that this "trend" never fades. 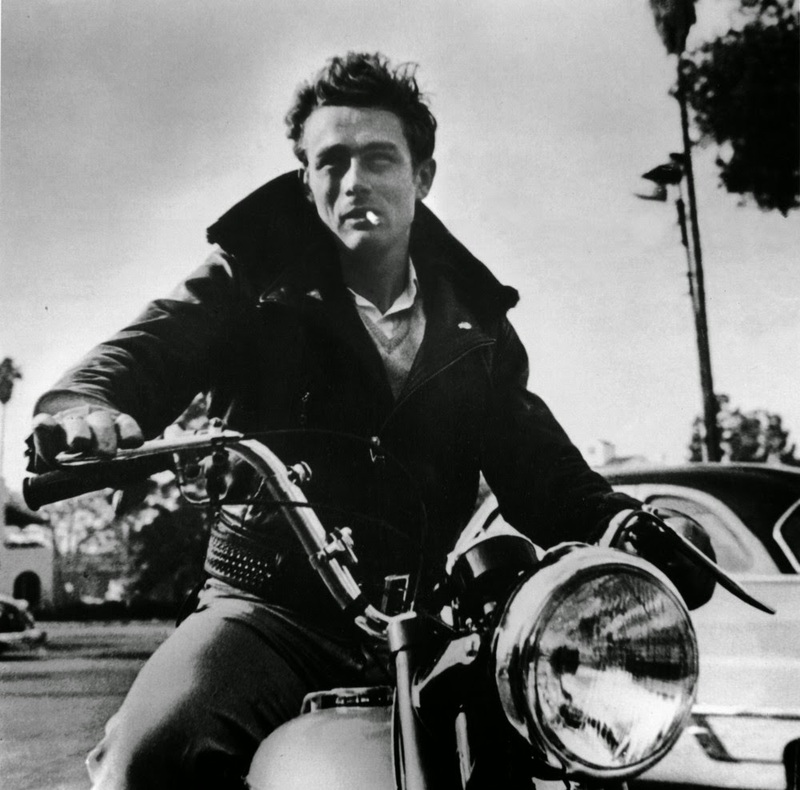 Made famous by rebel rousers James Dean, Marlon Brando, and The Fonz, leather jackets gained popularity in the 40s and 50s as actors wore them on the big screen. Although they didn't outfit the masses until the later-half of the 20th century, leather jackets were worn by aviators and military men in the early and mid 1900s. They strategically chose leather for the "bomber jacket" to protect pilots from extreme weather conditions while cruising at high altitudes and often incorporated fleece for added warmth. On November 26, 1967, The Observer published an article that began with, "Leather and suede used to be thought of as typical point-to-point gear for middle-aged, middle-class women." Describing current leather as "smarter, younger and cheaper" than in previous years, it went on to say, "This year's leather look is brisk battledress, sinister SS, or early aviator: coats are worn with high leather boots and gauntlet gloves." Just like in years past, leather is abundant. From Paris to New York, everyone from Kate Moss to Gwyneth Paltrow is roaming the streets in leather leggings, jackets, tops, skirts, and dresses. The edgy textile is not limited to black/brown or fall/winter these days. It is seen in all colors of the rainbow and even on spring dresses. A little something for everyone. Apart from a pair of pants or a jacket here and there, my leather purchases have mostly consisted of shoes, handbags, and belts. A fabric shop that I recently discovered nearby sells hides. I purchased a black one for the bargain price of $30 and had enough to incorporate it into three designs: a dress, a skirt, and a top. This week, I paired the leather with a novelty wool to make a skirt. The way I patterned the piece makes it wearable two ways: either with the zip in the back or on the side. I also made a blue top and added leather at the neckline with three buttons. For a price like that, you can't go wrong.